The wonderful she shed coffee station was my dear friend Jeanine’s idea. Jeanine is creative maker, DIY’er and up-cyclist so she needed more space for her creative adventures, hence the she shed idea was born. After picking out a 32′ by 12′ building the excitement about all that she could do with her extra space was infectious. I felt like I was getting one too. The dreaming of all the fun she will have with this creative space has been uplifting. She has stayed up late painting, decorating, organizing, and filling her dream she shed to fit her style and is now ready to be a space for her to create. Oh wait, the coffee station was such a surprise since I had no idea about it being a creative “she” hangout too. To my delight I received an invite to come for coffee and see the reveal of her she shed. This post contains affiliate links. This means that if you purchase from one of the these links I will make a small commission, but rest assured you will not pay more for any products. 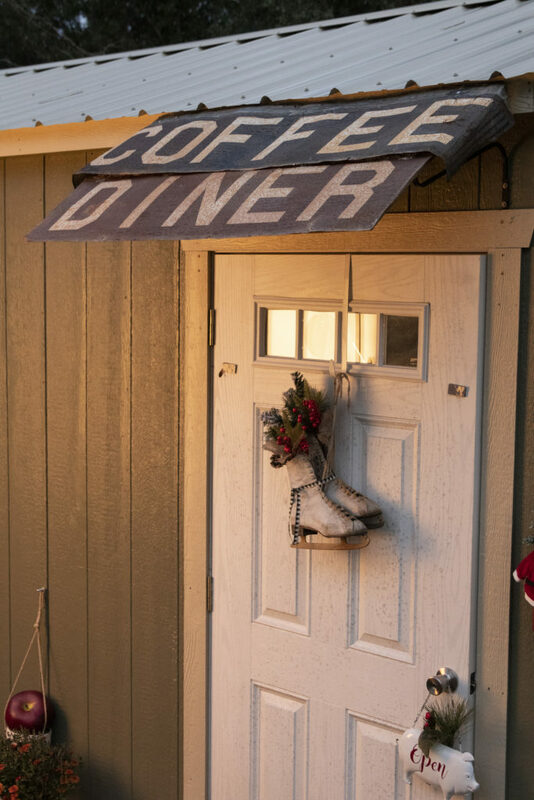 This clever coffee diner overhang was makde from two signs attached to plant hangers. I stepped in and was immediately greeted by the yummy aroma of candles, coffee and fresh baked goodies. It was so much more of a coffee heaven then a coffee diner. My wonderful hostess had prepared the coffee grounds to brew by adding a teaspoon of salt to a pound of coffee to make it extra delicious. 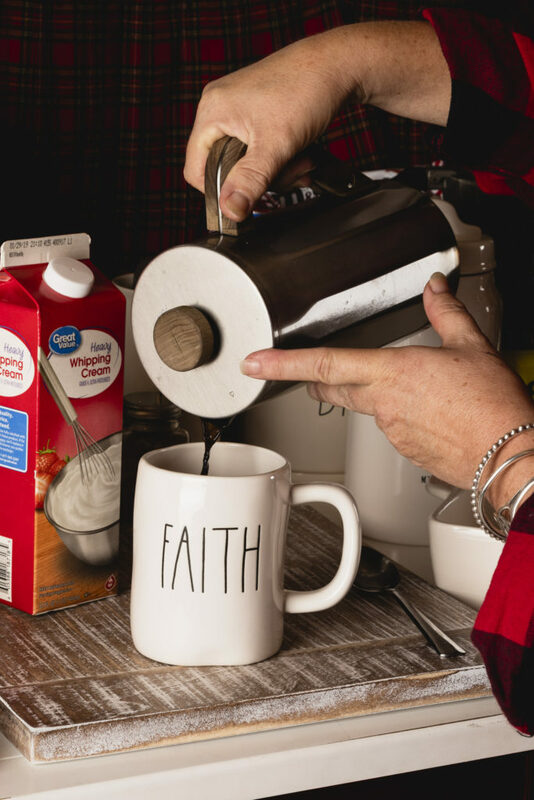 She will be sharing her special keto bullet proof coffee recipes after the new year so please check back for those. After Jeanine poured the coffee I was offered a vast array of stir in flavors and toppings. Yes, I was a kid in a candy shop. Another clever idea was using a plaid pleated skirt as the background of this shelf. It cost nothing but added some cozy holiday charm to the space. 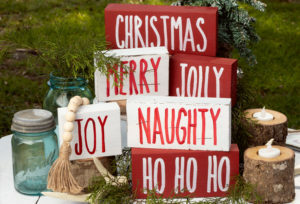 This cute message-board is handmade and the printable is available below. The coffee station also is pet friendly with treats for our furry BFF. 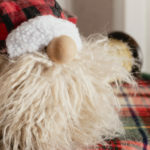 If you have been following my blog then you know I love gnomes. These bottle topper gnomes are so cute I think she will show us how to make them as part of our winter wonderland post after Christmas. 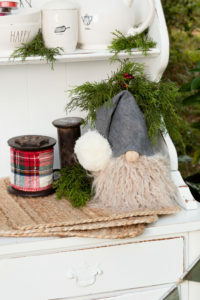 See her easy-no-sew gnomes how to HERE. 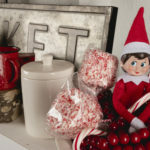 The sweet goodies were amazing so I thought I would share her secret recipes for the cookies. 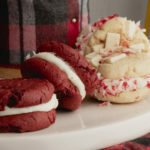 First, the White Chocolate Peppermint Cookies recipe you can find HERE and the Red Velvet Cookies with Cream Cheese Filling recipe is HERE. The Triple Chocolate Cake is my Mother’s recipe and it is the moistest cake I have ever eaten. It is so easy you will want to have the ingredients on hand in case you have drop in guests so you can whip it up in a flash. 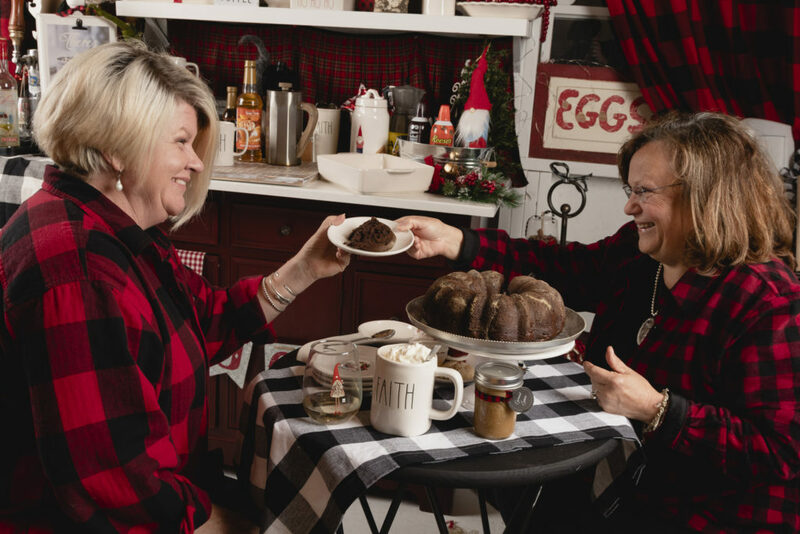 You can find Mom’s secret recipe HERE. 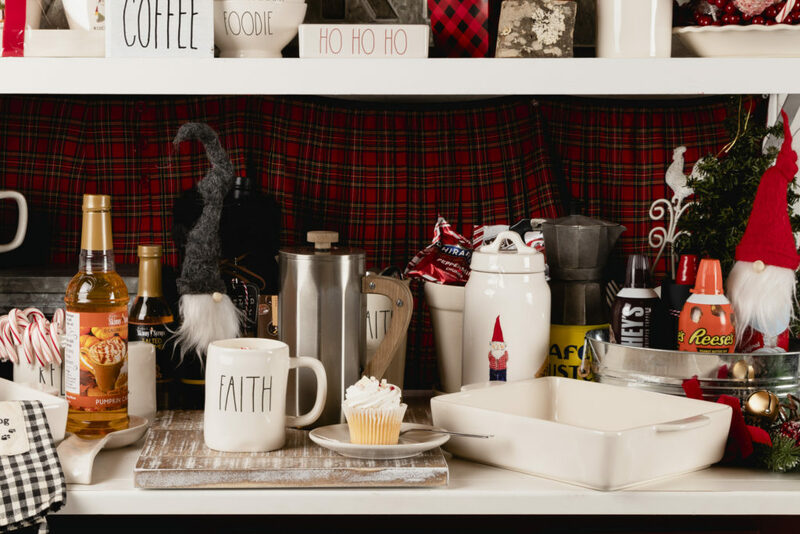 The She Shed Coffee Station reveal was one of the best surprises ever. I am so grateful I was invited to join my friend to be her first guest at the “she” hangout. 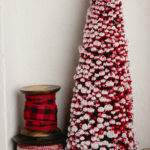 The table covering is a scarf she has worn for the holidays and is now adorning the up-cycled vintage pillar table. Her drape is a table cloth that looks wonderful as a buffalo check drape. 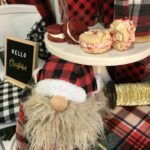 She used buffalo checks in both black and white check and black and red check in her decor as well as plaids. 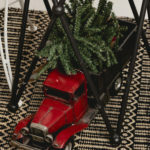 Vintage Red truck with trees tucked under the cafe table. 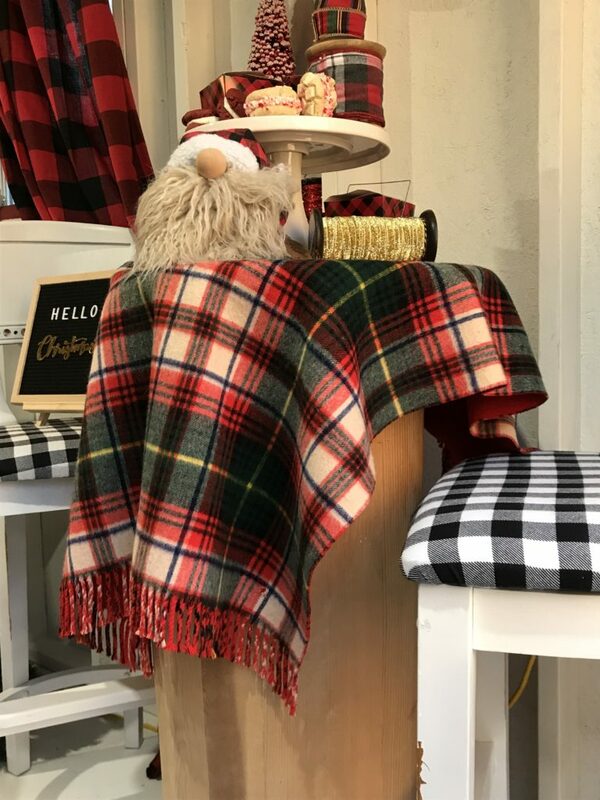 Buffalo check table runner and our buffalo check tops complete the look. 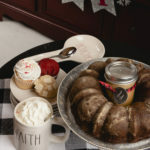 I brought the cake and the caramel sauce as a hostess gift with buffalo check ribbon. The She Shed Coffee Station will be on my list of best places to share a cup of joy with friends. 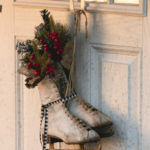 Thank you to my gracious hostess for a Holiday Happy! 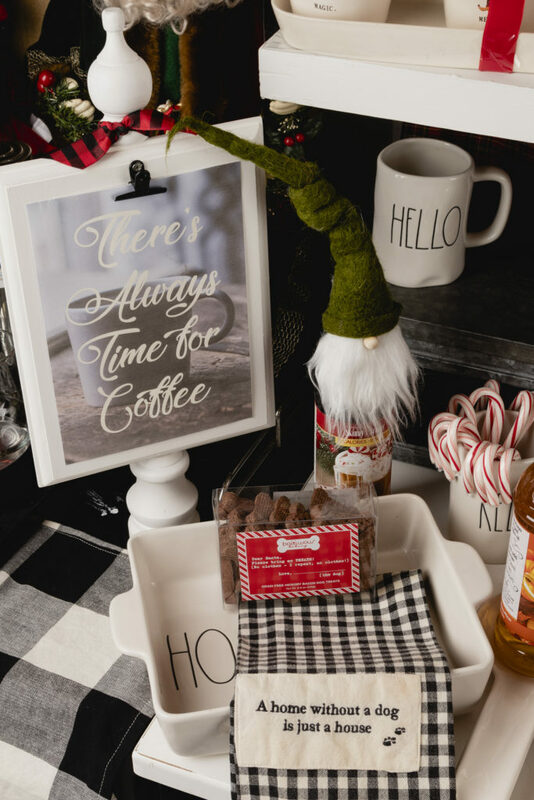 The easy Rae Dunn inspired signs DIY has full instructions and a free printable find that post HERE. Gnome Decor DIY has been a hit since it is a NO sew gnome you can find the full story and instructions HERE. 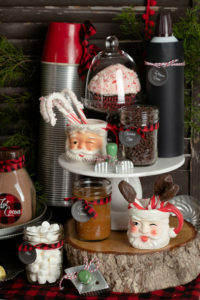 Ready to get your cozy hot cocoa bar setup? This one is family friendly learn how I got this look HERE.